Once you have the engagement ring selected and purchased you then have the task of thinking about a memorable way to propose. Proposals don't have to be elaborate or expensive to have significant meaning to the person you love. 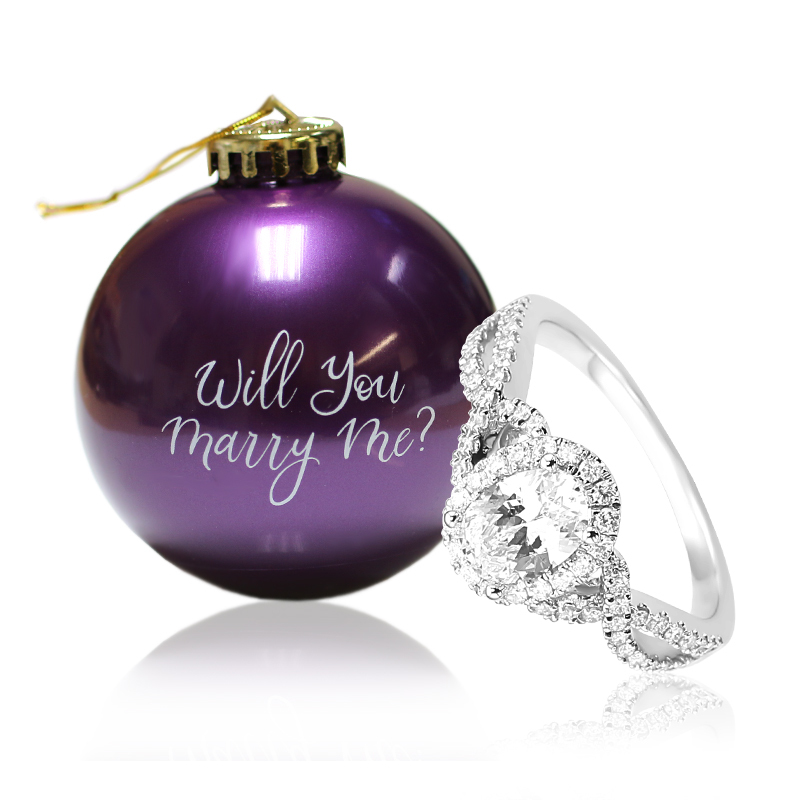 This year Andrews Jewelers made adorable Christmas tree bulbs with the phrase....."Will You Marry Me?" printed on them. You can take this bulb and place it on a branch, wait for her to find it and then let the holiday magic do it's stuff. For more information on how you can get one of the bulbs call us at 716-630-7091.